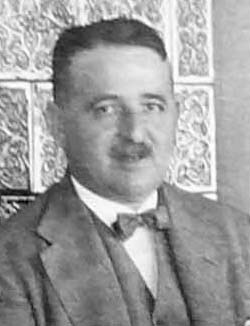 Frigyes Riesz (1880- 1956) was a Hungarian mathematician best known for his contributions to Functional Analysis. The well-known Riesz representation theorem is named after him. He also discovered Rising Sun Lemma in order to prove Hardy-Littlewood maxiamal theorem. His brother Marcel Riesz was also an established mathematician. Riesz Convexity Theorem is named after Marcel.